Let me share my tutorial with you. Air dry or oven-baked clay. 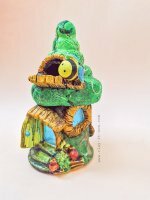 I used homemade clay for this figurine. Body: roll your clay (any color as you like) to a ball shape about 1 inch in diameter and then change the shape to an oval or egg shape. Insert the toothpick from top of the body. And, make smaller egg shape in different color for stomach area. Flatten the egg clay shape, paste it on to the front of the body with glue and use clay knife to make some horizontal lines. Leave it to dry in the room. Head/ face: start with a ball shape and then egg shape. Press the egg shape lightly, make a slit at the narrow side for the mouth. 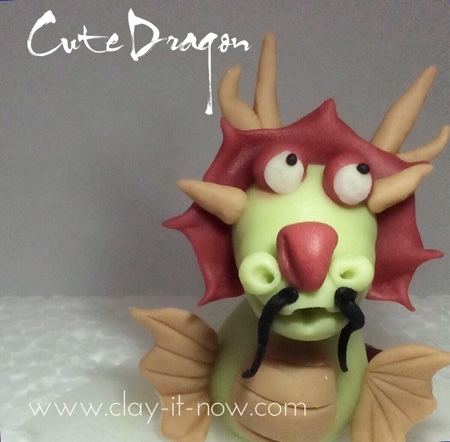 Make the nostrils from 2 small ball shape, make the eyes, nose with different clay color and black spaghetti clay shape for the mustache. Paste these to the head and arrange the position until you are happy with it. After that, insert the head to the toothpick at the top of the body. 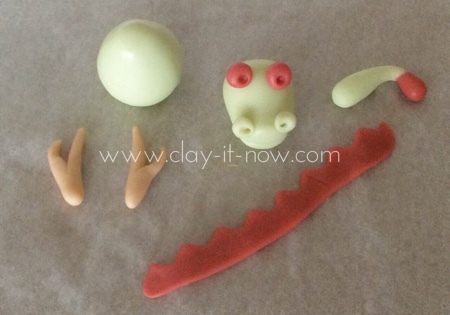 Tail: roll the clay to a cone shape, pull the tip and insert small egg shape to the tip in different clay color. Insert one end of the toothpick to the tail and the other end to the back of the dragon's body. Horns: I hope I got the right term for this. Initially I made the horns with split for the back of the head but then I added in small horns (or is it actually the ears?) at the left and right side of the eyes. 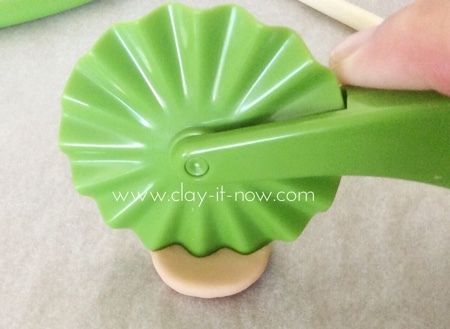 Wings: start with rolling your clay to a ball shape, flatten it and then cut in the middle with zigzag clay cutter. After that make few lines with your clay knife. Attach the wings to the left and right side of the body. Adjust the position until you are happy with it. 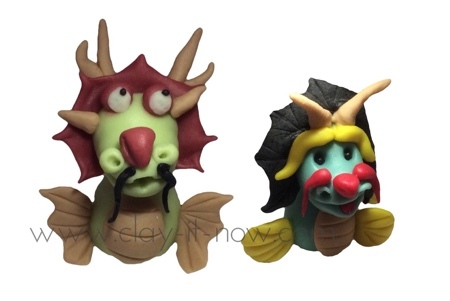 Your cute dragon figurine is ready now! Did you make the dragon figurine following our tutorial? Do you have different style? We would love to hear from you.